Former Starbucks CEO Howard Schultz says that if he launches an independent White House run it is more likely that lifelong Republicans would vote for him than Democrats. 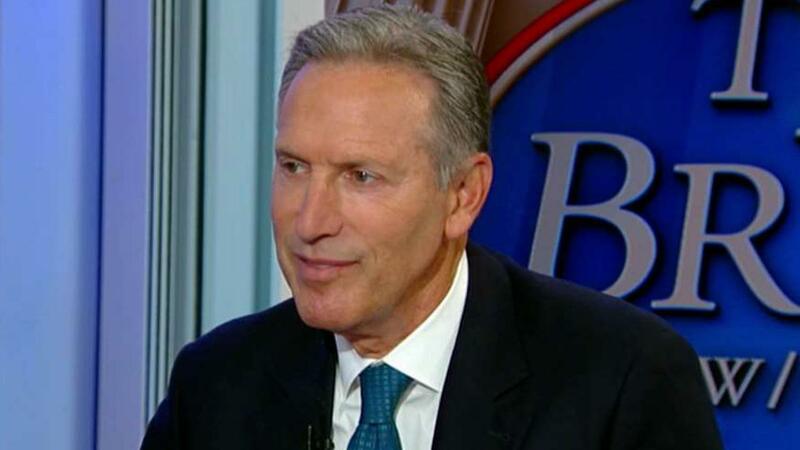 Former Starbucks CEO and billionaire businessman Howard Schultz is refusing to praise the Trump administration’s policies for reviving the U.S. economy in key areas. Schultz didn&apos;t stop there, he slammed Trump&apos;s record on jobs and financial security for everyday Americans. “The facts are 40 percent of the American people do not have $400 in the bank,” he said. “Five million young people in America mostly black and Latino are not in school, not in work. One out of six Americans are food insecure" he lamented. Despite Schultz&apos;s opinion, President Trump has presided over a healthy economy that has seen the lowest unemployment rate since 1969 at 3.9 percent, according to the most recent U.S. Bureau of Labor Statistics. On Friday, the jobs report for January is expected to show this rate held steady. The impact of tax cuts and pro-business policies on investor sentiment has positioned the White House to preside over a strong stock market performance since Trump took office. Schultz said the president is misguided for saying that the market is a proxy for the economy. "He is going to fall on his sword for that because that economy is not going to last," he said. This week the former coffee CEO is making the media rounds as he considers an independent 2020 presidential bid, his first interview on CBS&apos; 60 Minutes, prompted a tweet slam from Trump himself. Along with Trump, Schultz has recieved some criticism from Democrats who fear that he could split their vote and secure President Trump’s re-election.